University Grants Commission's new rules for admission to the M.Phil. and Ph.D. courses at Delhi University are likely to result in vacant seats in many departments this year. The rules mandate that the aspirants from all categories must pass the entrance exam with 50 per cent marks to be eligible for the interviews of M.Phil. and Ph.D. courses from the current academic year. The rules have left many departments like Modern Indian Languages and Literary Studies in lurch with no SC, ST students qualifying for the admissions. Departments like History, Botany and Psychology are also facing the same crisis. 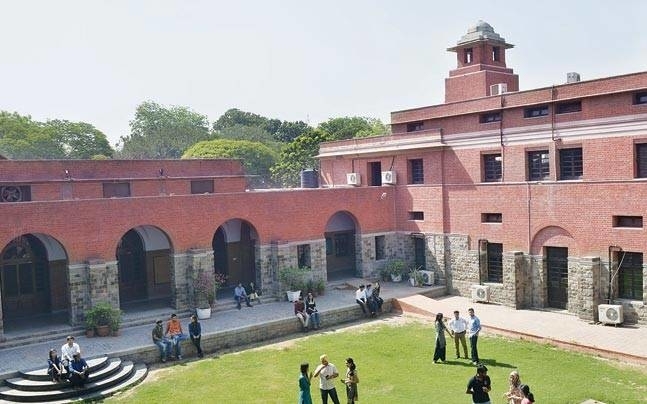 The rules were adopted by Delhi University in its Academic and Executive Councils in 2017. 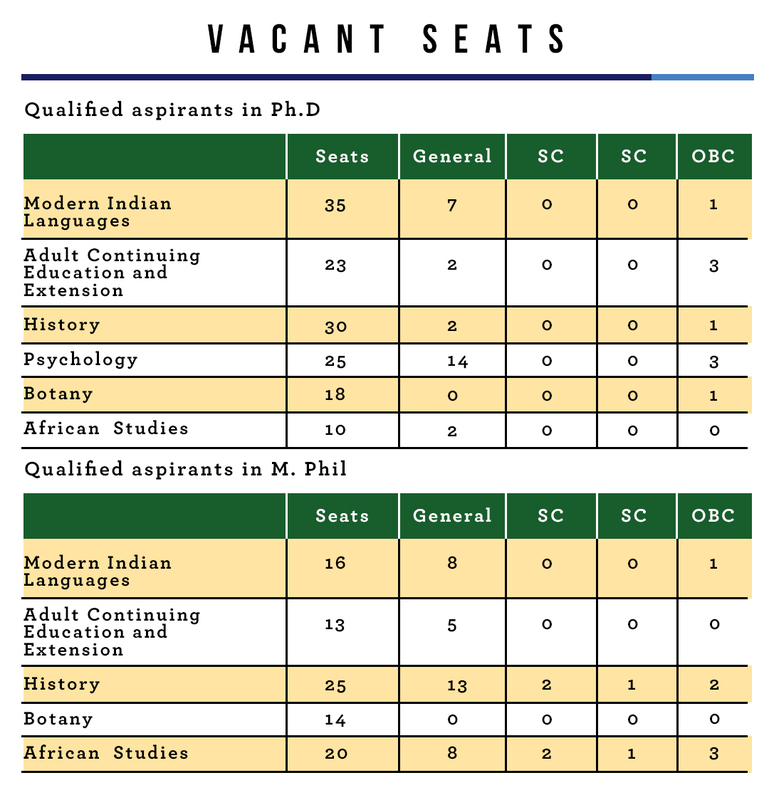 An overview of the seats filled suggests that out of 30 seats for Ph.D. in history, only three students, including one OBC candidate, have qualified for the interviews. The department is still left with 27 vacant seats. Similarly, the department could not fill all 25 seats in its M.Phil. course. While 13 general candidates qualified for interviews, only two SC, two OBC and one ST student could pass the test with marks above the benchmark. Modern Indian Languages department is facing unprecedented crunch of aspirants with many seats remaining vacant in its Ph.D. programme. Out of 35 seats in PhD course, only seven general category students along with one OBC student have been able to pass the test. Even though it has reserved nine seats for students who have NET and Junior Research Fellowship, it will still have seven seats vacant. This move of the Delhi University has triggered anxiety and tension among the students from the deprived communities within the university. Sumit, a PhD applicant In History department said that the students who have qualified NET and JRF or are getting national level scholarship are exempt from the entrance exams, but for many students, entrance exams are the sole way to get admissions. He said, "It is a blow to the first generation learners from SC, ST and OBC categories who want to excel in higher education. After the NET was made objective, many students have failed to qualify it. Similarly, national level scholarships are being awarded to very few students. Thus, qualifying entrance tests is the sole way for getting admissions in M.Phil. and Ph.D. courses, and UGC norms stop them from pursuing higher education." Talking to Newsclick, Prashant Mukherjee, Secretary, Students Federation of India, Delhi unit said that these norms for admission are not new, but the students are feeling the heat from this session because the university administration conducted online examinations for the first time and displayed marks and ranks publicly. Mukherjee said, “The norms violate the constitutional mandate of implementing the reservation policy for deprived sections of the society. Uniform qualifying marks for all students must be withdrawn to ensure justice for them." He added, "UGC notification in 2016 was a big blow to the higher education, and we felt its impact in Jawaharlal Nehru University where huge number of seats were cut from many courses. It made the marks attained in viva voce the sole criteria for admissions in M.Phil. and Ph.D. While it has withdrawn the norm now, but has not issued any circular yet for implementation. Similarly, the universal qualifying norms must be withdrawn to resolve the crisis." Daily Round-up Ep 68: Fund Cuts in Women's Studies Centres and More.